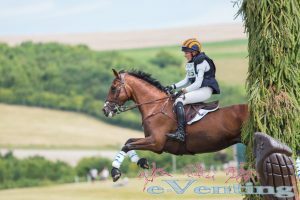 The Metoffice had promised cooler weather today, if 2 degrees counts then yes it was cooler than yesterday, but with the temperatures still in the mid twenties combined with Barbury’s infamous hills clear rounds inside the time in the three 2* sections were few and very far inbetween. 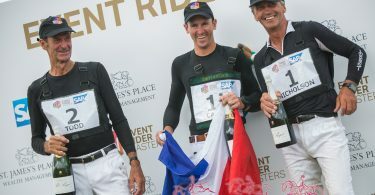 None of the dressage leaders were able to keep hold of their leads with the final leaderboards seeing big changes. In section C only one rider was able to get inside the time, Elisabeth Halliday-Sharp aboard Deniro Z, and in doing so she was able to take home the win finishing on their dressage score of 41.3. Dressage leader Christopher Burton on Lawton Boy added only 4.8 time penalties to their score pushing them into second behind Elisabeth. Emily King was victorious in section D on Jane Del Missier’s Walitze F Vejgard, climbing from 4th after dressage adding only 2 time penalties to her score. Pippa Funnell was able to maintain her 2nd place with Sandman 7. It is great to see him back out competing after his fall at Withington last year and competing so successfully again. Fast clears by Gemma Tattersall (Chilli Knight) and Craig Barr (Marli III) saw them climb from 10th and 19th to 3rd and 4th respectively. The final 2* section, that being section E brought the day to a close, and it wasn’t until one of the last riders that the section was decided. 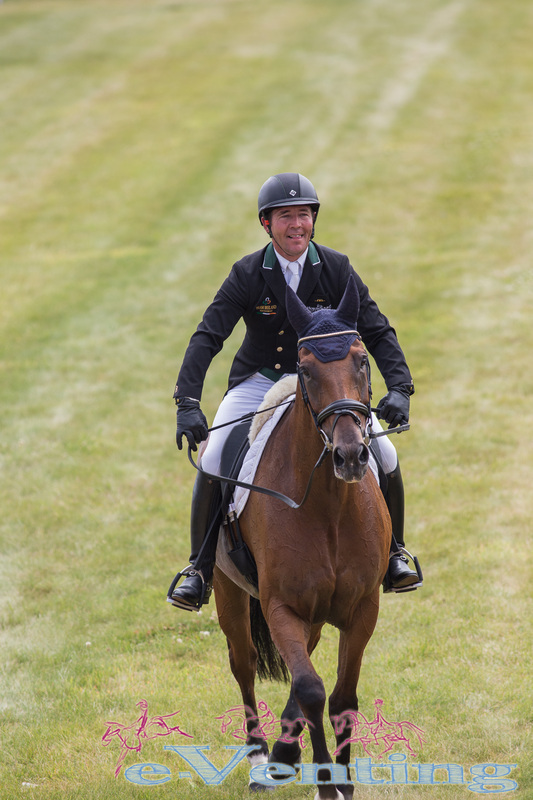 Sam Ecroyd piloted his own The Quiet Man to finish only 3 seconds over the time to seal victory from dressage leader Laura Schroter on Willem Van Wup who picked up a costly 5.2 penalties to finish 2nd. There were some seriously giant leaps up the leaderboard for those posting fast clears. 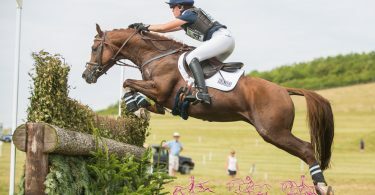 Emma Chamings riding her own Trefeinon Sovereign climbed from 70th after dressage to eventual 15th. 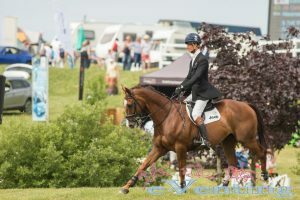 Jasmine Abraham, and Andrew Downes also had similar improvements to their final placings in section E.
Whilst the 2* sections occupied the cross country course, the CIC*** (non ERM section) showjumping took pride of place in the main arena. After Bill Levett’s withdrawal of dressage leader Lassban Diamond Lift there were very few changes to the top 10. 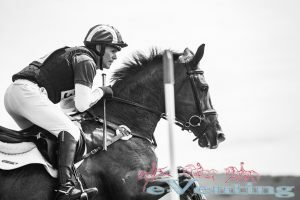 A pole for Oliver Townend and Noteworthy saw them drop to 7th, whilst several expensive poles saw Andrew Nicholson drop out of contention on Byrnesgrove First Diamond. Andrew did though rise to 5th on Swallow Springs, the Ridgeon’s talented 9yo for whom he has high hopes. Tina Cook (Billy the Red) remains on top into tomorrow’s cross country closely followed by William Fox-Pitt on Clifton Signature and Tim Price on Ringwood Sky Boy. With the time sure to prove tight and so little separating the top few riders it is certain there will be changes to the leaderboard tomorrow. Not to be forgotten the highlight of the day was surely the ERM dressage which took place in the newly renamed ERM arena, previously home to the 2* dressage and showjumping. In order to preserve the best possible going, the arena is solely being used for the ERM class this year. The interactive scoring was a hit with spectators and was interesting to see on the whole the common agreement although at times disagreement between the judges and spectator scores! Last before the lunch break Austin O’Connor took the lead on Kilpatrick Knight scoring 40.5, but so was the quality of those that followed that he finished =7th overnight. The overnight leader on 30.4 is the exquisitely talent Upsilon ridden by Thomas Carlile, who have a 4 penalty lead from Andrew Nicholson & Nereo. The 9yo stallion has in 12 international starts only finished once outside the top 5 and must be favourite now going into tomorrow’s jumping phases. Best placed Brit is Pippa Funnell aboard Chippieh lying in 4th on 39.3. The best forgotten moment must go to poor Marcio Jorge who went wrong 3 times in his test Coronel MCJ therefore incurring elimination. To catch up on today’s dressage tests head over to Event Riders Master’s Website where you can watch again all today’s action.